If your looking for the most reliable HVAC contractors in greater Hartford and surrounding areas, then look no further. Charter Oak Mechanical is a fully Licensed and Insured company. 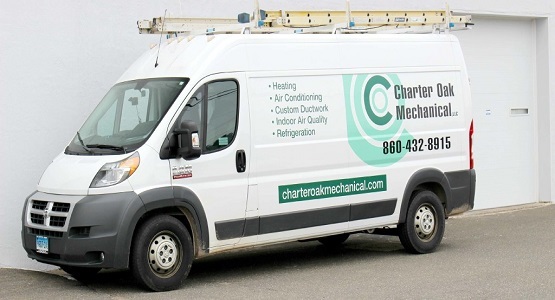 At Charter Oak Mechanical you can count on us for all your Heating and Cooling needs. If you in need for a new cooling unit, central air, ductless mini split or looking to have your old system repaired we our more than happy to help you out. At Charter Oak Mechanical we have the best technicians in the business. We will make sure we always show up on time for all appointments. We will try to make sure that the most common parts for repairs arrive with our technicians at all times. We believe in trying do the job right on the first call saving you time and money. Charter Oak Mechanical is accredited with the BBB and has wonderful reviews on Google. Call us today for all your HVAC needs. 860-432-8915.